JIADE (Zhongshan) Food Machinery Co., Ltd.
Professional manufacturer of Food Processing Machinery. 1. Good function and efficiency. 2. More reliable and high quality to meet customers requirement. 5. 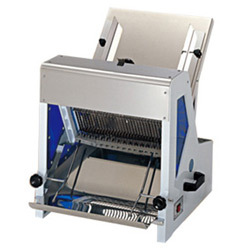 Suitable for bakery, chain store bakery, hotels dairy and food service, as well as supermarkets. (2) Blade frame width: 385mm. (6) Thickness of slice: 12mm. (2) Blade frame width: 485mm.